It's time for a new color challenge on the MFT Challenge Blog. I inked up one of my favourite sets, Distressed Patterns with Biscotti, Blu Raspberry, Coral Crush, and Factory Green Premium Dye Ink. 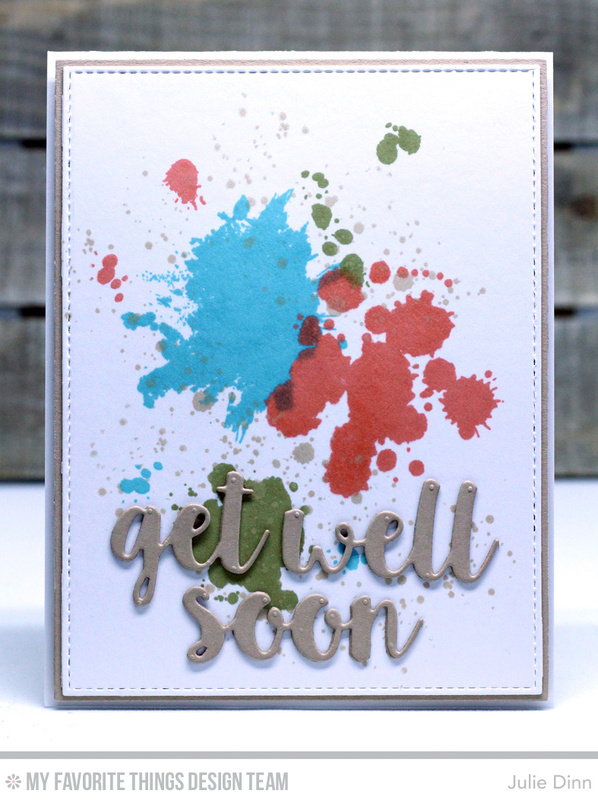 The sentiment was created with the new Well Wishes Die-namics.